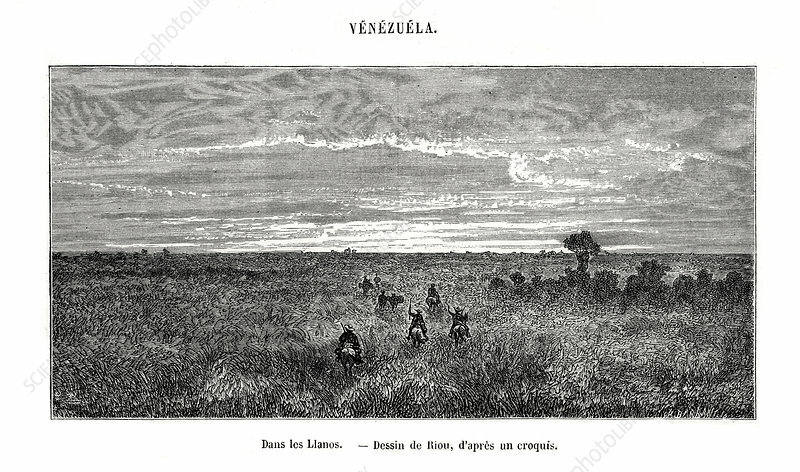 Los Llanos, Venezuela, 19th century. Los Llanos (meaning the flat plains) is a vast tropical grassland plain situated at the east of the Andes in northwestern South America. Artist: Edouard Riou.